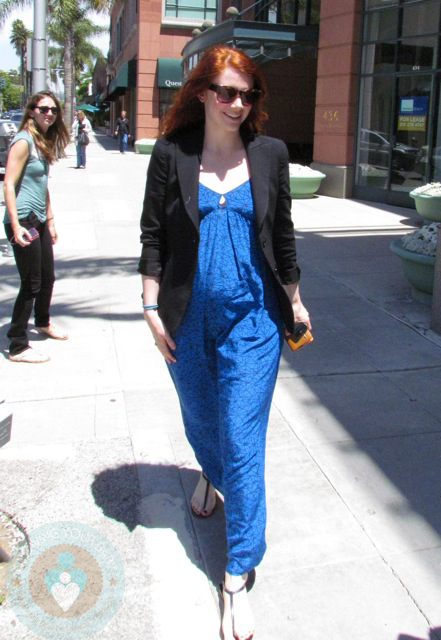 Just a week after announcing she was expecting her second child Bryce Dallas Howard was spotted staying comfortable in a blue maxi dress while leaving Anastasia Salon in Beverly Hills. The actress was all smiles for the camera as she met with husband Seth Gabel, who was waiting in a nearby car for her to finish. The new baby will join the family (and big brother Theo) this Fall!